Today is the 64th birthday of poet Nazmul Haque Nazir. 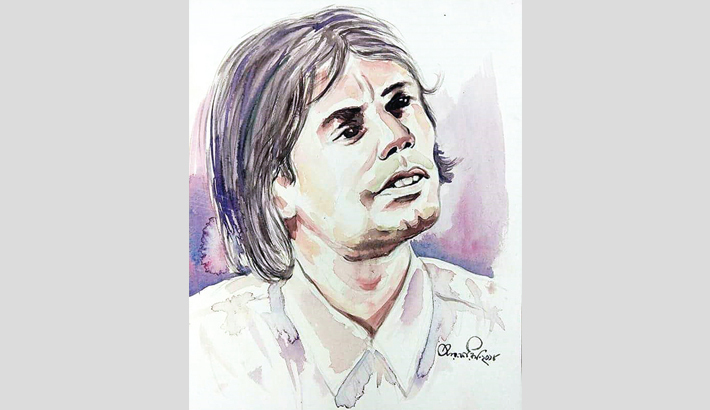 Nazmul Haque Nazir known as the poet of Slogan,was born to Bazlur Rahaman Molla and Asiron Nesa at Shiaildi village in Alfadanga upazila of Faridpur on September 25 in 1955. Nazir has a total of 14 books – nine poetry, three rhyming, one history and one edited to his credit. Besides, he also wrote some sacred songs for Hindu devotees of the country. In recognition of his contributions, the poet was honoured with Rahila Sahitya Purushkar from India, Shamsur Rahman Smriti Purushkar, Kobi Khan Mohammad Moinuddin Sahitya Purushkar, Kobi Gubinda Chandra Das Smriti Padak, and Haridarshan Purushkar. Nazir also got Ameer Prakashana Sahitya Purushkar, Geetikar Club Sammanana, and Mirza Abul Hossain Padak, among others. Poet Nazmul Haque Nazir breathed his last in Dhaka on November 23 in 2015.